Aqua, Hydrated Silica, Sorbitol, PEG-8, Sodium Bicarbonate, Cellulose Gum, Sodium Monofluorophosphate, Aroma, Sodium Methyl Cocoyl Taurate, Titanium Dioxide, Trisodium Phosphate, Sodium Saccharin, Dichlorobenzyl Alcohol. 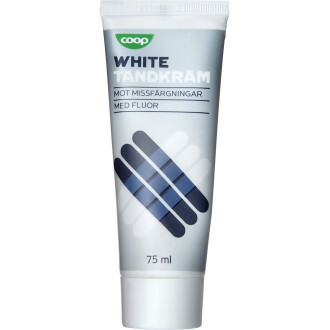 Änglamark 5 ml. Jfr-pris 14,48 kr/st.